Rio handed off the Olympics to Tokyo in Sunday's closing ceremonies with an amazing video that ended in Prime Minister Shinzo Abe appearing from a warp pipe dressed as Super Mario. But the Tokyo Olympics won't be all Pokémon and Pac-Man references. The Tokyo Games may also be looking to make a statement about sustainability. 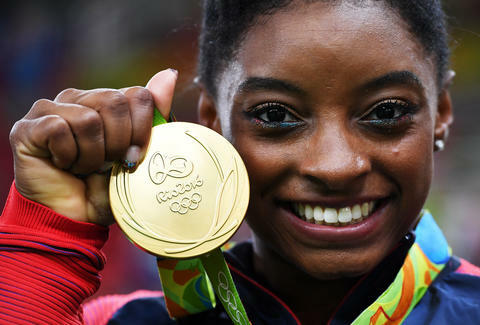 The 2020 Olympic organizers are discussing the use of recycled electronics to source material for the gold, silver, and bronze medals at the Games, according to a report from Nikkei. Instead of turning to mining companies to donate precious metals, they could pull metals from recycled smartphones and other small electronics. Organizers say there is enough precious metal in Japan's e-waste to produce all the metal needed, but the first obstacle will be that most of the metal is already spoken for, used to make new electronics. At the London Olympics, producing medals took 9.6 kilograms of gold, 1,210 kilograms of silver, and 700 kilograms of copper, which is the primary material used in bronze medals. Nikkei says that in 2014 alone Japan recovered 143 kilograms of gold, 1,566 kilograms of silver, and 1,112 tons of copper from recycled consumer electronics. If they move forward, there may be an initiative to frame donating electronics as a way for citizens to directly participate in the Games, helping forge the medals with discarded iPhones and Furbys. Hopefully, when Usain Bolt makes his comeback in 2020, he'll be able to turn to his gold medal on the podium and say, "Siri, how many medals have I won now?" Dustin Nelson is a News Writer with Thrillist. He has never owned a Tamagotchi. Follow him @dlukenelson.